The Client for the violin makers workshop has returned for a Phase 2 project which is the remodelling and extension of their croft house. The proposed extension creates a large open plan living, kitchen and dining area and frames the views to the nearby stone temple ruins. The stair is being repositioned to allow the remodelling of the first floor to form a master bedroom and large bathroom. 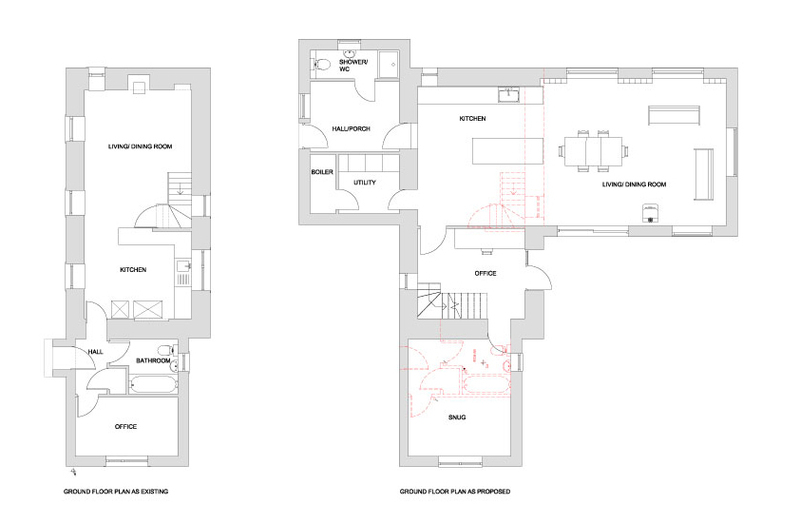 A new entrance porch will also be formed to create additional utility and kitchen storage space and a guest shower room. 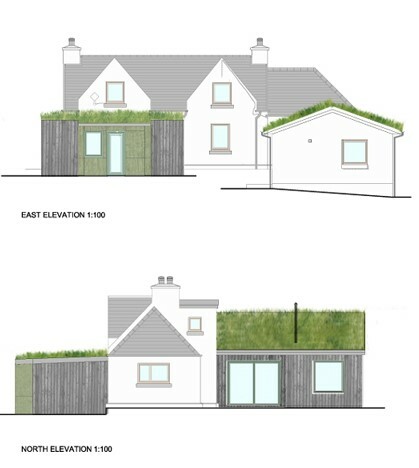 The new extension areas are to have turf roofs to match the workshop and visually contrast with the older part of the house. The external fabric of the house has suffered from storm damage in recent years and the proposals include for the insulation and re- rendering of the exterior walls.